That was fast! As predicted, the Criminal Minds: Beyond Borders TV show on CBS has been renewed for a second season. The news broke as part of the CBS May Upfront presentation coming this week. This news was expected because, as with fellow freshman series, Code Black, Criminal Minds: Beyond Borders was given network permission to secure the writing staff in what’s called and “if/come” deal, as reported earlier today. The The Criminal Minds: Beyond Borders TV series cast includes: Gary Sinise, Alana De La Garza, Daniel Henney, Annie Funke, and Tyler James Williams. 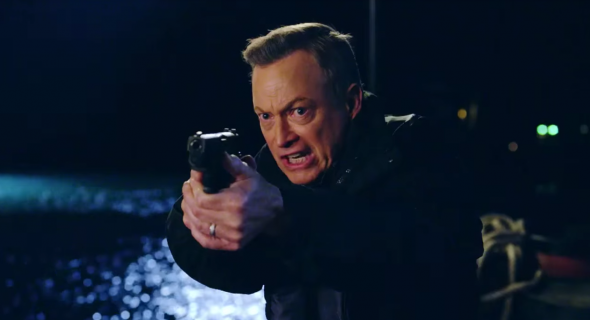 Criminal Minds: Beyond Borders, starring Gary Sinise and Alana de la Graza, also has held up well, especially when airing behind a new Criminal Minds episode. The mothership series was recently renewed for Season 12. Both shows are overseen by Erica Messer, who also created the spin-off. CBS has also renewed Code Black, Undercover Boss, and The Odd Couple. What do you think? Are you a fan of the Criminal Minds: Beyond Borders TV show? Do you plan to watch the second season? More about: Criminal Minds: Beyond Borders, Criminal Minds: Beyond Borders: canceled or renewed? I really enjoyed Beyond Borders. Love Gary Sinise and Alana de la Garza. I LOVE Criminal Minds Across Borders! Please bring out the s cons season?! I LOVE this show!!! Can’t wait for the new season!!! I cannot wait for it to return. Anyone know the return date? I am really going to watch. I love it. Thank you CBS.